Deadpool/Wade Wilson (Ryan Reynolds) is depressed. Everything in his life has gone from fluffy rainbows and unicorns into a nightmare. The only way to get his groove back is to enter a quest to save a boy, a mutant, with fire coming out of his fists. He must save the boy from Cable (Josh Brolin - who is hot off the Avengers movie) who blames the boy for destroying the future. Whew, that's some kind of story in just a few sentences. But wait there's more! 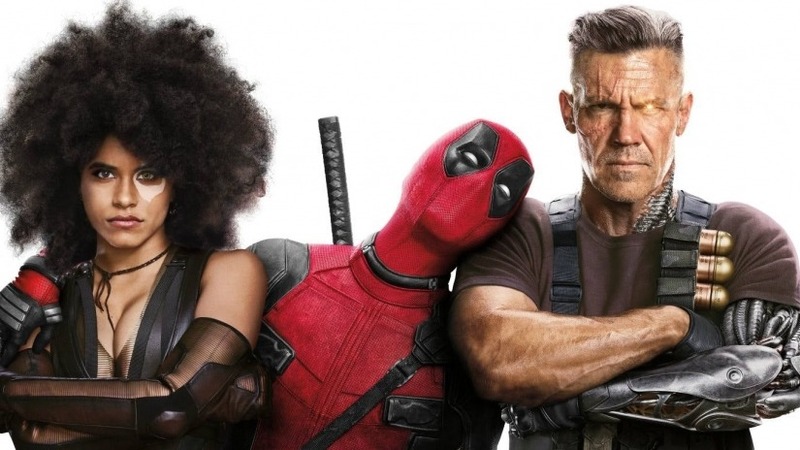 We again see Collosus, Negasonic Teenage Warhead, Vanessa, Weasel and then get to meet some new characters as part of Deadpool's 'x-Force' team. A shout out to Domino, who besides Peter, is the best part of the X-Force team. Does this movie reference other superhero movies? Yes. Does it use classic songs and performances to express emotion and humor? Yes. Does it constantly challenge your boundaries of human decency? YES. Is it over the top graphic violence? Yes. Is it so inappropriate yet still hilariously funny? Yes! Should you keep your kids at home for this one? Yes, yes, yes!! So, like the first movie, this one has over the top violence, language and adult situations. This is not an Avengers movie so keep the kiddies at home. This for all you people out there that enjoyed the first Deadpool (2016) and wanted a second helping and then realized you just overfilled your plate to the point where your food is going to slide off on the floor, but you keep it steady just long enough to spill your gravy onto your fingers and then have it slip from your hands on to your aunties back and you try to clean it up but the more you do the worse it gets and everyone at the table has a good laugh as you walk away in shame. Then this movie is for you! I don't know how to explain it better. Deadpool and Deadpool 2 are the perfect compliment to each other. It even knows how to pull at the heart every now and then. Well done Ryan Reynolds! It's not easy to make a sequel like this but with 'maximum effort' they did it. Could there be a Deadpool 3? We'll find out if Deadpool 2 can take over the box office...if so...I can't see why there wouldn't be more of this outrageously funny series.